Designing customer relations digitally is an opportunity and a challenge at the same time. Especially in B2B. It’s not new that B2C commerce strategies and maxims are playing an increasingly important role in this industry in general and in the hardware sector in particular. But turning theory into real-world success is another matter. Being successful in digital business is a process. Especially for industries that have distinguished themselves not only with high-quality products and high-precision but also through personal interactions and analogue customer relations, the design of digital customer relations doesn’t just mean a change in technology and spatial concepts, but also in the mind. With all the skills, tools, and systems that help master digital transformation, there are, if not especially, the soft skills that play a major role in sustainable success. We are all the more pleased that our client WÜRTH has managed to implement a new mindset, methods, and processes that bring new work and agility with them and thus achieve real added value. From the company as well as from the customer’s point of view. The 2019 shop award judges also saw this. With a focus on consulting, a clear product presentation, and customer-centred functions, WÜRTH prevailed among 245 applicants. Other winners of the 9th INTERNET WORLD BUSINESS Shop Awards include Keller-Sports, Bonprix, and Generation Yes. 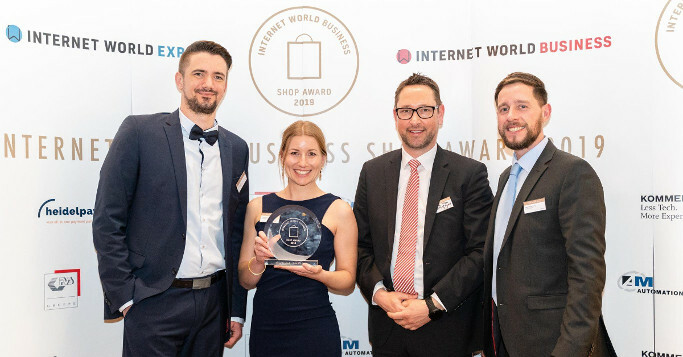 For the first time, there was the category: »Retailer of the Year« and also a people’s choice award, which readers of INTERNET WORLD BUSINESS awarded to Picnic. There is no single and universal answer to the question of how to meet the needs of customers again and again. But the constant exchange with industry colleagues and experts, as well as cross-departmental further education, ensure that the right path is established for your business and that sustainable success is ensured. All this happens between dotSource and WÜRTH. The close collaboration, but also participation and support of the Digital Business School show that visions and missions can become reality. We’d like to congratulate WÜRTH on being awarded the title of 2019’s Best B2B Shop! This victory is both an honour and an incentive to continue our journey together, in close contact and with our customers, and to help them recognise and successfully exploit the opportunities of the digital age. Retailers, manufacturers, and publishers can experience this tomorrow, on the 28th of March! 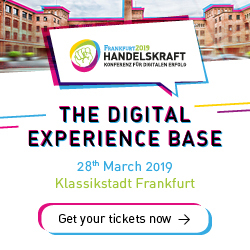 At the Handelskraft Conference at the Klassikstadt of Frankfurt, participants will learn how they can turn trends into innovations and thus achieve real added value for their business as well as their customers. Look forward to an extensive program and secure your tickets for Handelskraft 2019 here!